Clean air, clean water and healthy communities: the benefits of forests are vast. But as populations rise and development pressure expands, forests across the Chesapeake Bay watershed are fragmented and cut down. 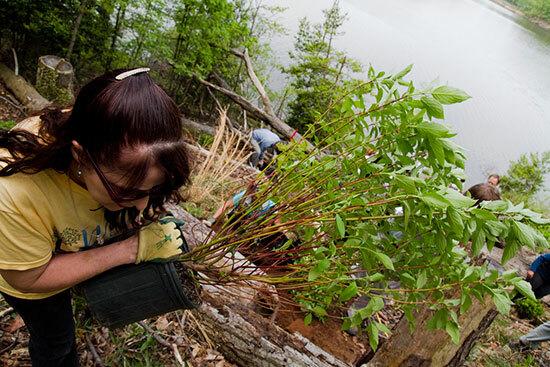 In an effort to slow the loss of Chesapeake forests, the U.S. Forest Service has released a restoration strategy that outlines how officials and individuals alike can improve the environment and their communities by planting and caring for native trees. According to the strategy, which has been endorsed by each of the watershed's seven State Foresters, expanding forest cover is critical to improving our air and water, restoring wildlife habitat, sequestering carbon and curbing home energy use. To ensure we get the most “bang” for our tree-planting buck, the strategy targets restoration efforts toward those places in which forests would provide the greatest benefits, from wildlife corridors along streams and rivers to towns, cities and farms. Trees along the edges of streams and rivers—called a riparian forest buffer—can keep nutrients and sediment out of our waters and nurture critters with vital habitat and food to eat. Trees in towns and cities—called an urban tree canopy—can clean and cool the air, protect drinking water and boost property values, improving the well-being of an entire neighborhood at a low cost. And trees on farms—in the form of wind breaks, forest buffers or large stands of trees—can protect crops, livestock and local wildlife while providing a farmer with a new form of sustainable income. Other areas targeted for forest restoration include abandoned mine lands in headwater states and contaminated sites where certain tree species could remove toxic metals from the soil. 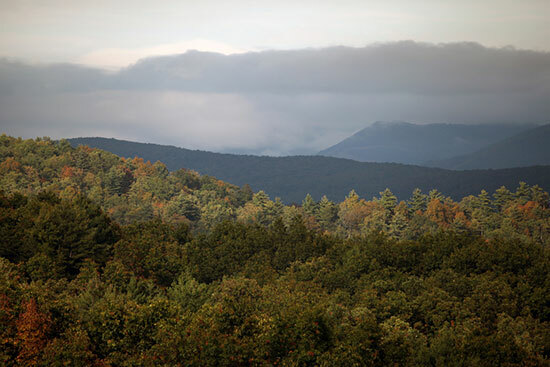 Learn more about the Chesapeake Forest Restoration Strategy.